Our variety of clubs and activities allow every student to showcase their talent and make friends that share their same interests. Led by Mercy teacher Vickie McHale, Magical Movement Dance classes are held daily after school. 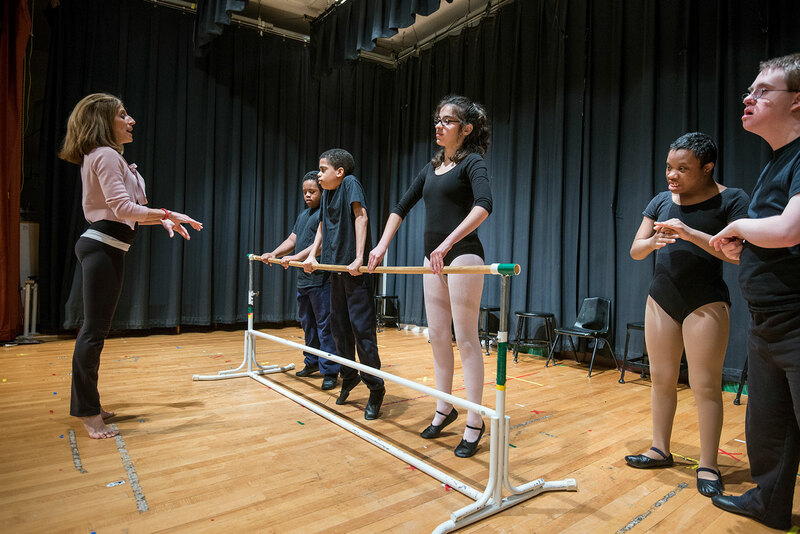 Miss Vickie stresses “movement,” offering ballet, tap and jazz as she helps students (in both group and private instruction) to become aware of their body through movement. Participation in Magical Movement Dance is voluntary and there is a fee to join, but dancers are expected to commit to year-round involvement. Dancers perform at the annual Dinner Gala, in-school events as requested and the year-end Dance Recital. The students adore being on stage and performing for their audiences! 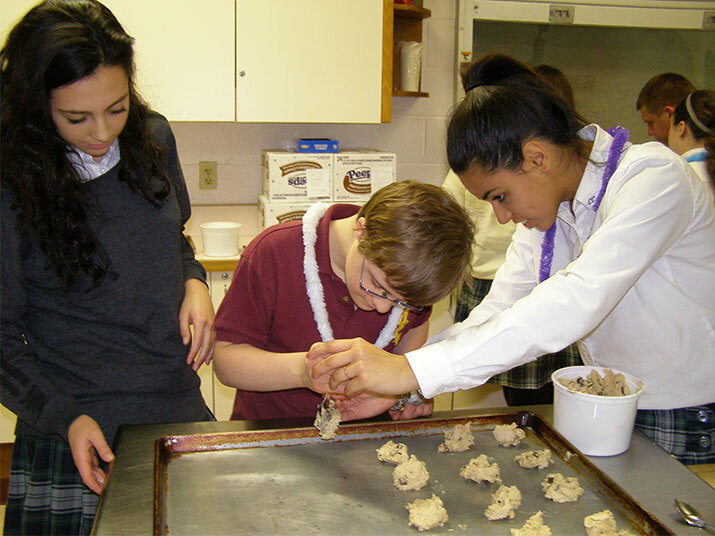 This after-school program matches Mercy students with buddies from Allentown Central Catholic High School (acchs.info) that leads to immediate friendships that often last beyond graduation. BFFs meet monthly for a variety of fun games and activities; Mercy and ACCHS students take turns each month going to their buddies’ school for the activities. Some of the planned events and activities that our BFFs have enjoyed include: bowling, karaoke, volleyball, a Christmas party with craft activities, and more. There is no cost for this program. The Tone Chime Choir is comprised of Mercy students who, under the guidance of liturgical music instructor Sue Kaczmarek, perform as requested by community groups and for school activities. Students practice weekly during the school day, and some students play more than one chime for any given musical number. If you are interested in having the Tone Chime Choir perform at your special function, please contact Sue Kaczmarek at 610-797-8242.